Just a reminder that Report Cards were published on myEdBC this past Friday, and students were also given a paper copy on Friday, as well. If you have any questions about report cards, please contact the individual teacher of the course, or the Main Office/Counselling. NEW! This year, the Indo Canadian Business Association of British Columbia (ICBABC) is proudly celebrating its 20th Annual Student “Achievement Awards” Banquet on May 10, 2019 and it is with great pleasure that we extend an invitation to your students to apply. Thank you again for encouraging your students to apply to the ICBABC scholarship last year. We were able to award 16 scholarships to a group of outstanding students. 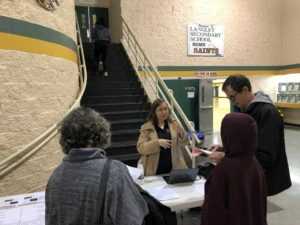 This year, we hope to be able to grant just as many, if not more scholarships, and thus our Scholarship Committee has been diligently raising funds since our banquet last May. Attached to this email is the ICBABC 2019 scholarship application, as well as a cover letter with further details about the scholarship. The application will also be accessible as an online fillable PDF document, which will be available soon at https://icbabc.com/. Please be advised that the deadline for applications is April 12, 2019, and requires students to also submit their complete transcripts and two reference forms. 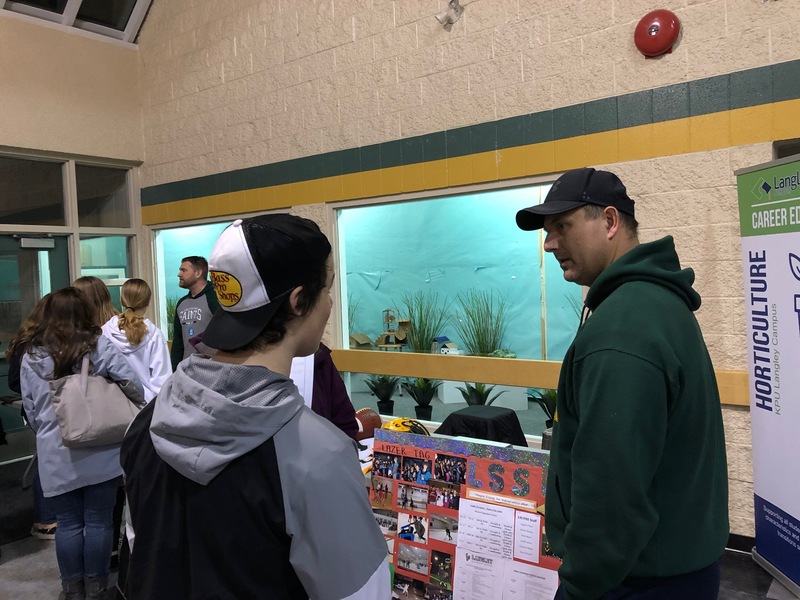 For students applying in the Sports Achievement Award or the Special Needs Award category, they will have to answer an additional essay in addition to the two essays all applicants will answer, as indicated on the application. 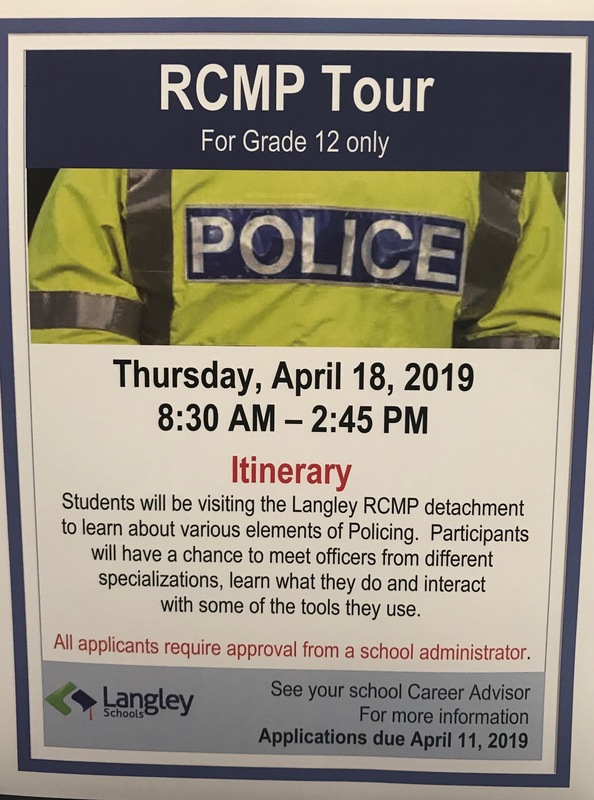 I kindly ask that you distribute this information to your grade 12 students. If applicants have further questions regarding the scholarship, they are welcome to email us at awards@icbabc.com, or to contact me directly at jasleenr.8@hotmail.com. DUE THIS WEEK! BEEDIE SCHOLARSHIP for students with Financial Hardship! You may have already heard of our new scholarship program, Beedie Luminaries, which we launched last November. We offer scholarships, mentorship and summer paid-internship opportunities to promising students facing financial adversity. We award $40,000 per student over 4 years for undergrad degrees, and $15,000 per student over two years for college or trade diplomas (full-time studies). 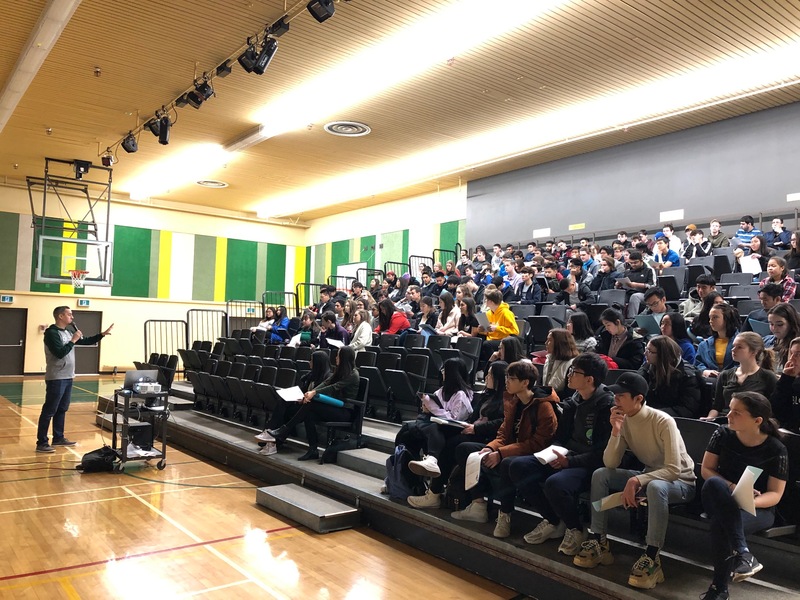 In our first year, we will be selecting 50 students (from the Lower Mainland only) applying to eight Lower Mainland institutions: SFU, UBC, BCIT, CapilanoU, Kwantlen, Douglas, Langara and JIBC. 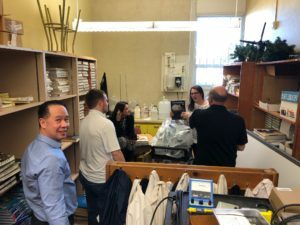 The program plans to expand in the future to support up to 100 students throughout British Columbia each year, applying to all BC public post-secondary institutions. The deadline for applications is February 15th, 2019. Be endorsed by their school principal, a teacher or counsellor (required) and a community organization (optional). The letters of endorsement must be included with the application. 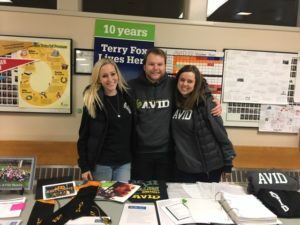 Capilano University’s 2019/2020 entrance awards are now open and we appreciate your assistance in informing your students about the award opportunities available to support them as they embark upon their university career. 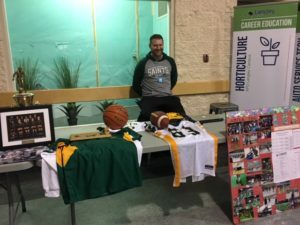 The suite of Capilano’s entrance awards recognize and support excellence in scholastic, athletic, and musical achievement; leadership, volunteerism, and community involvement; and demonstrated financial need. The new Capilano Community Leadership Awards (CCLA), valued at $2,500, recognize high school students who are entering the university with a strong academic standing, as well as leadership and volunteerism in the community. We are pleased to be able to partner with you on the nomination process for these new awards. Our premier entrance scholarships are the Capilano Excellence Scholarships (CAPX), valued at up to $40,000 each. Ten of these four year renewable scholarships are available to high school graduates who demonstrate excellence in academics and show leadership in their school and community. The application deadline for all entrance awards is March 1, 2019. Full details on all of our entrance awards, including eligibility, is available on our website at capilanou.ca/entrance-awards. Promotional material is available; please contact us for information. REMINDER! 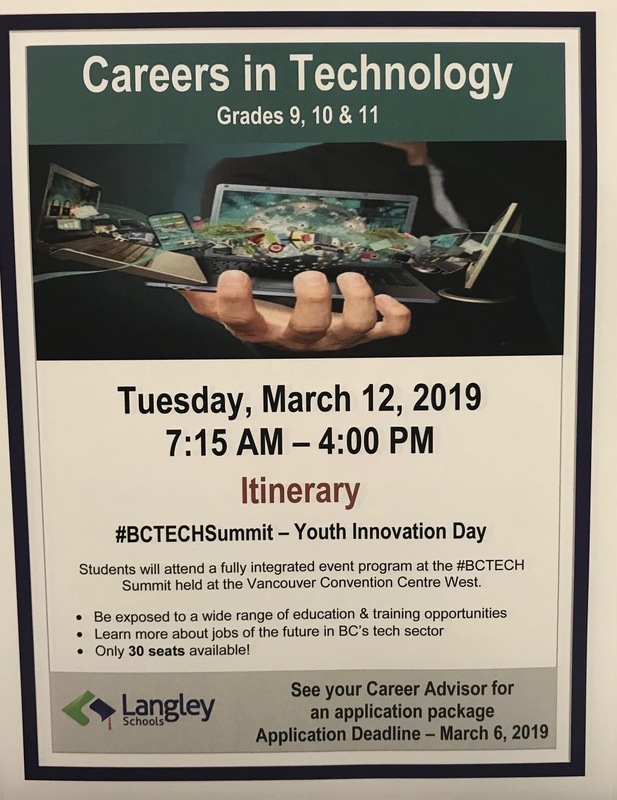 BCIT Entrance Awards: we are pleased to announce that the following Entrance Awards are available to students who are planning to attend BCIT commencing April 1, 2019 to March 31, 2020. Valued up to $4,000 each. Valued up to $6,000 each. 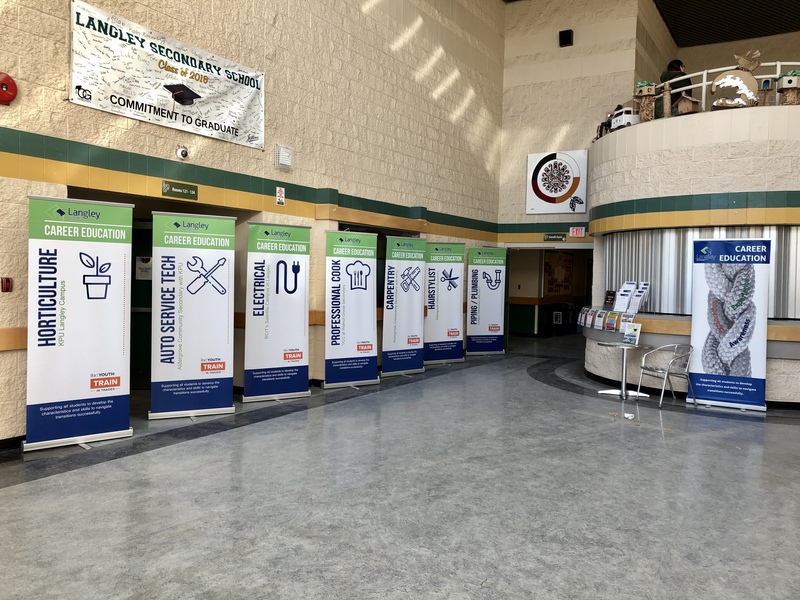 We have included a copy of our Entrance Awards poster for you to place where grade 12 students will see it. More information about BCIT Entrance Awards and the application forms can be found atbcit.ca/finaid. THE TIME IS NOW! SASSY AWARDS ARE BACK! LSS Dry Grad Fundraiser – Jugo Juice Sale coming on Wednesday March 6th! Be sure to join the LSS Dry Grad Facebook page as the best way to stay up-to-date on this year’s Dry Grad event! Starting Monday, February 11, students will only be able to make schedule changes with teacher permission/signatures. This is important because we are now more than two weeks into the 2nd Semester, and the amount of content/skills that has been learned so far is difficult to catch up. GRADE 8 COURSE PLANNING AND OPEN HOUSE! Almost 200 HDS parents and students came to LSS for our Grade 8 Course Planning and Open House this past Tuesday. Parents and students got to hear about LSS’ various unique programs and opportunities, while also learning about what course options looked like for Grade 9 students. After the 40 minute meeting in the small gym, parents got to meet LSS staff from every department where they asked questions and saw examples of student work and projects. 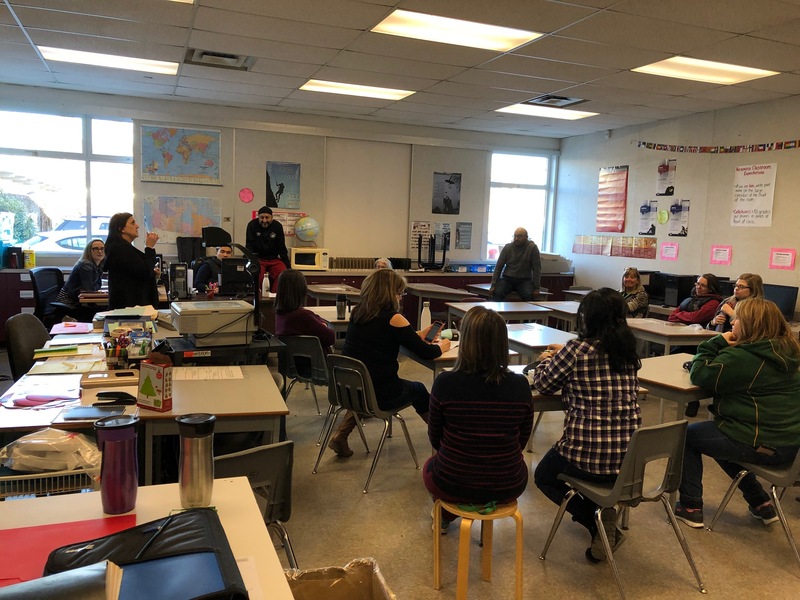 There definitely was a positive energy in the school thanks to the strong turnout of both LSS staff an HDS families. 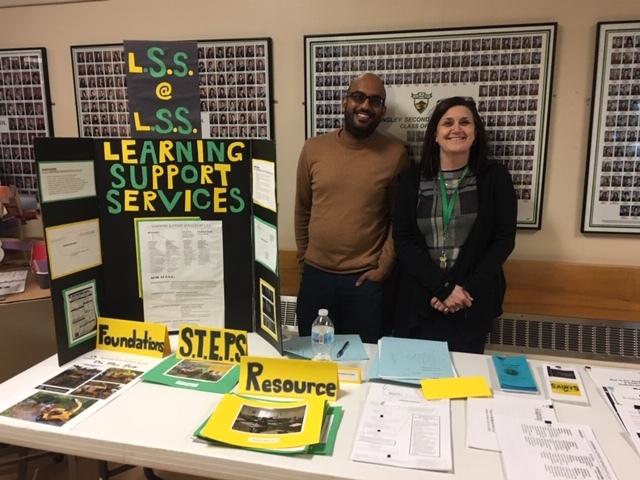 A huge thank you to the HD Stafford staff for helping with the turnout, to HDS families for taking time out of their busy home lives, and to LSS Staff for once again showing how LSS is an exciting place of options and opportunities! 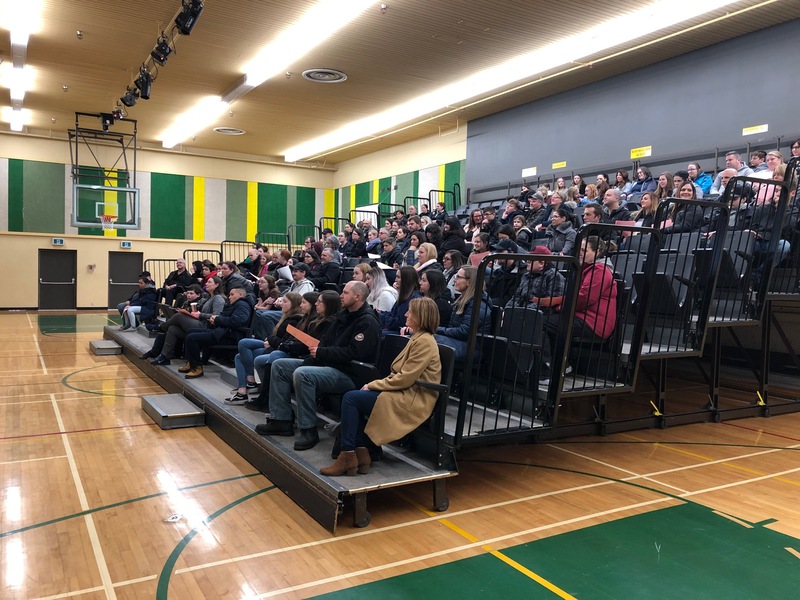 Almost 200 parents and students attended our Grade 8 Evening last Tuesday! 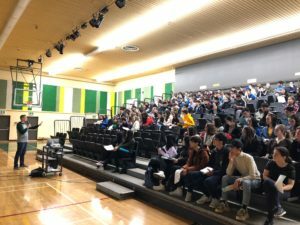 Mr. Lewis spoke about the different Grade 9 course planning options. 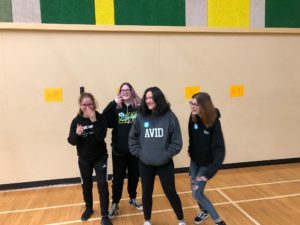 But why were our student helpers from AVID and ME to We giggling so much?! Keep reading below to find out!!! 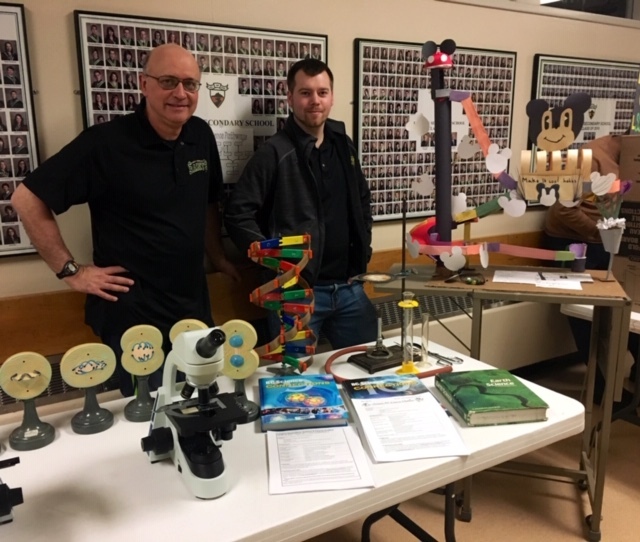 While the parents were in the small gym, teachers were getting ready to answer questions: Mr. Jackson and Mr. Nicol prepare their Science displays! 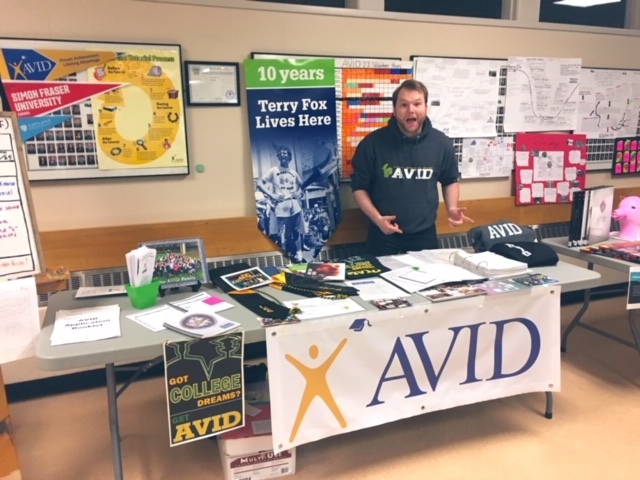 And Mr. Fauteux is busy getting the AVID table looking as sharp as possible! 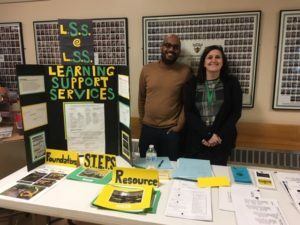 While Mr. Gill and Ms. Salmon put the LSS into LSS! 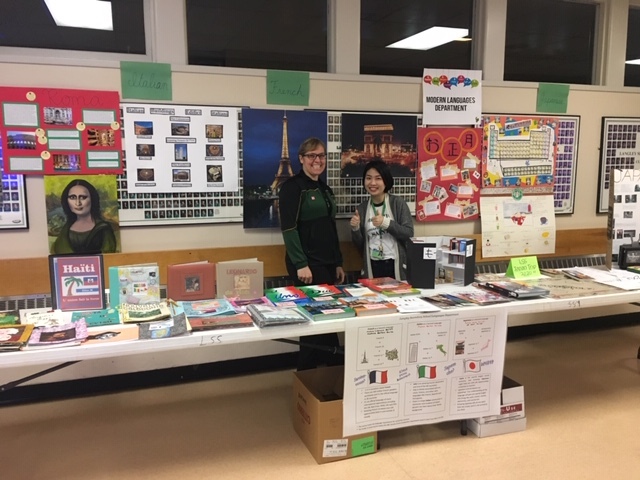 Languages is well represented by Mrs. Bertoni and Ms. Li! It looks like AVID reinforcements Ms. Wood and Ms. Sewell are here to help Mr. Fauteux out! And for Mr. Kardos about PE options! Youth Train in Trades Tour – We have planned a Youth TRAIN in Trades Tour on Wednesday, February 27, 2019. 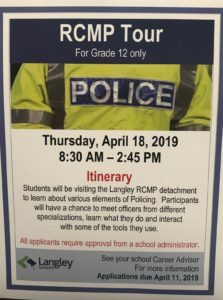 Students will visit the Langley School District’s seven programs Youth TRAIN in Trades programs: Auto Service Technician, Carpentry, Electrical, Hairstylist, Horticulture, Piping/Plumbing, and Professional Cook 1. 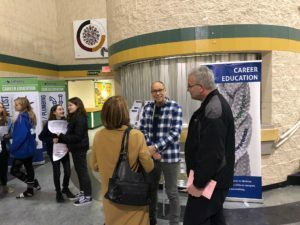 This career exploration tour is organized through the School District’s Career Education Department. The tour will start and end at the students’ home school. We will meet in the main lobby at 8:45am and arrive back at the school by 2:00pm. Transportation by school bus and lunch is provided. There is no cost to participate in this. 3700 Willingdon AvenueNote: Parking on campus is free after 3:30 pmStudents also have a chance to win one of three prizes of $1000 in tuition. See contest rules for details. 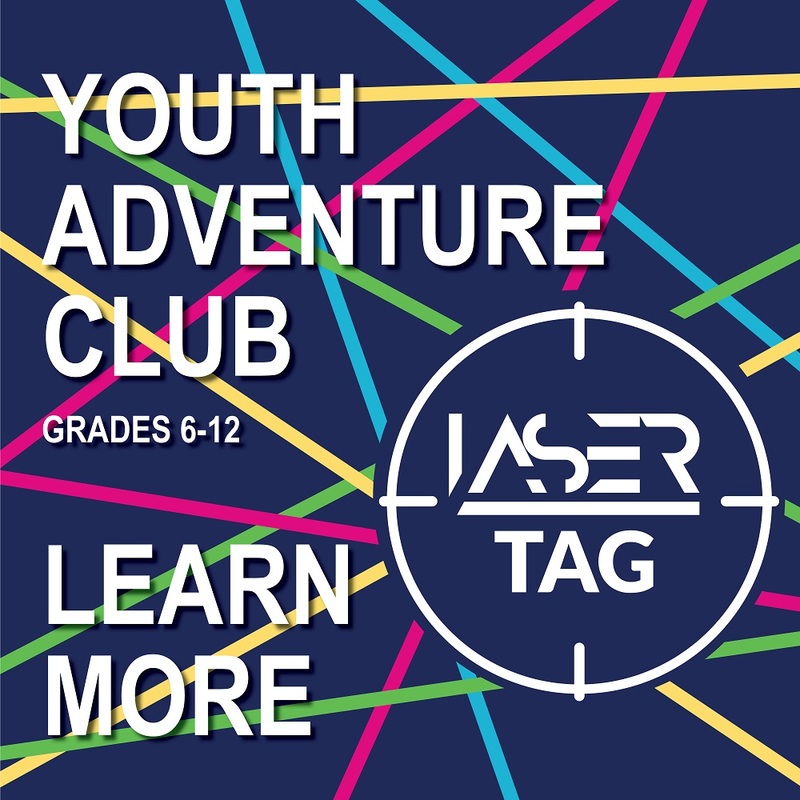 Register now by clicking on this link! THIS WEEK! Kwantlen Polytechnic University is hosting several exciting events on campus this winter, and we hope your students can join us! Students in grades 8-12 are invited to experience a day in the life of a KPU student. While on campus, they’ll attend mock classes, meet current students, learn about KPU programs, admissions, and financial aid, go on a campus-wide scavenger hunt, enjoy a free pizza lunch, and take home KPU swag. Additional information about each session and registration to attend can be found at the following link:sauderundergraduateoffice.eventbrite.com. 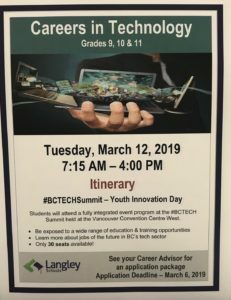 See a sample post below that your school may use to advertise the session on social media. 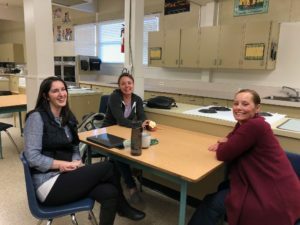 And Home Economics teachers from both LSS and Brookswood get together, as well! These are just a few examples of what happens during Collaboration… more photos to come in upcoming editions of the Saints Scoop! We also hosted Grade Assemblies for Grades 9-12 this past week, where we talked about the Saints Habits of Success, Course Planning, and Careers options… Here, Mr. Hantke started off the assembly by talking about the new semester and Fresh Starts. Mrs. Blessing, our Careers Advisor, set up banners showing off the different apprenticeship programs in the Langley School District! While Mr. Pulice plays with the lighting during a grade assembly, Mrs. Stewart-Lee can’t help but chuckle! 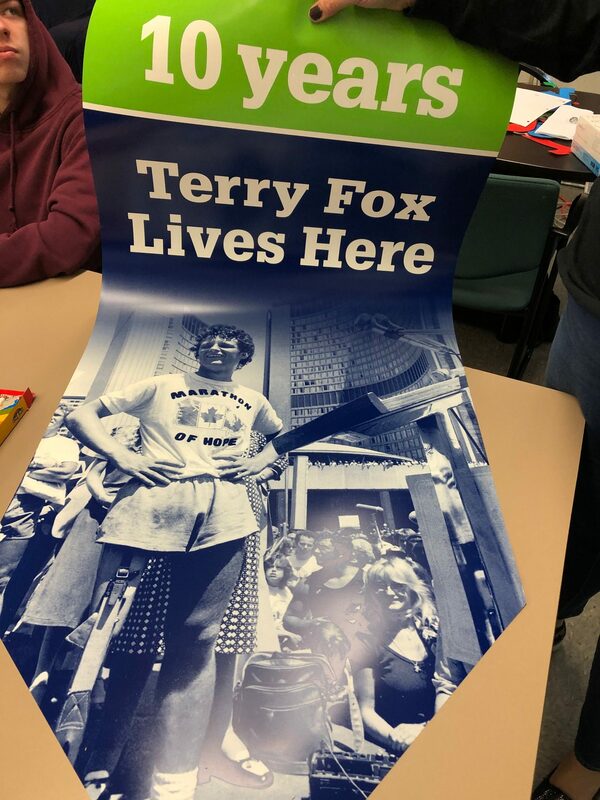 LSS just received our “10 Year Banner” for participating in a Terry Fox Run for that many years – congratulations, LSS! From the Grade 8 Evening, Mrs. 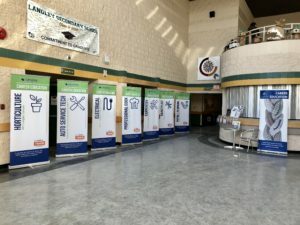 Blessing used the Careers Banners to decorate the Castle Lobby! Manga Club: Are you interested in Manga, anime of Japanese-style art? The Mange Club will be meeting Wednesdays after school in the Library. After School Dance Club! Dance club is currently on hiatus. 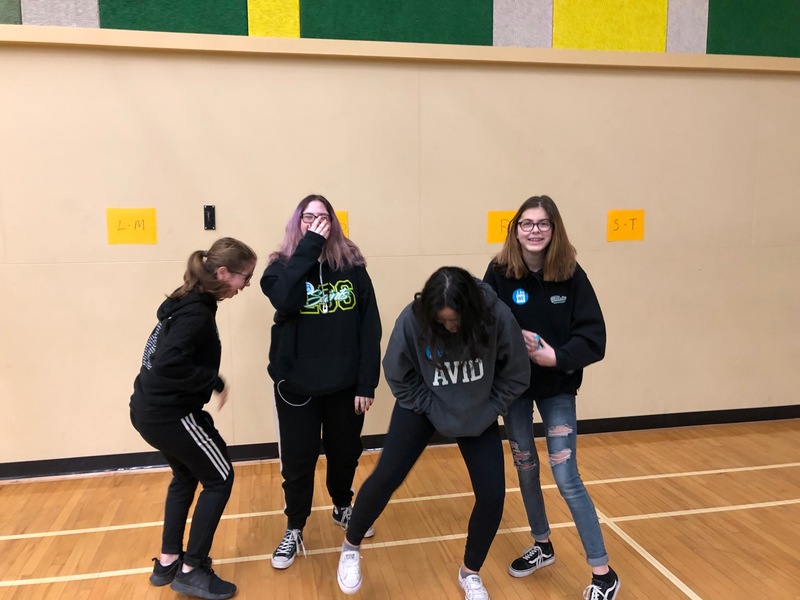 Dance Club will be starting again Feb. 19th Tuesdays at Lunch in the Dance Studio. 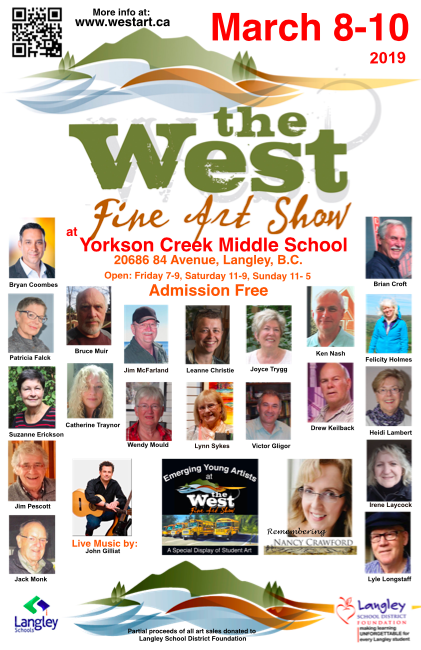 This is an EXCELLENT opportunity for our upcoming artists to show their work alongside professional artists and to be viewed and appreciated by a sophisticated and appreciative crowd of art patrons. 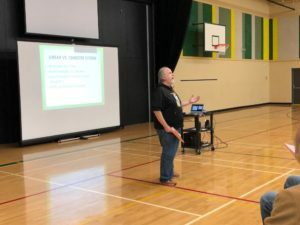 Snow closures and power outages are an annual occurrence in Langley School District. So where do you go to get information about the status of schools during periods of inclement weather? If you are able to access the internet via computer or smartphone, current information about Langley schools can be accessed on all school websites or www.sd35.bc.ca. 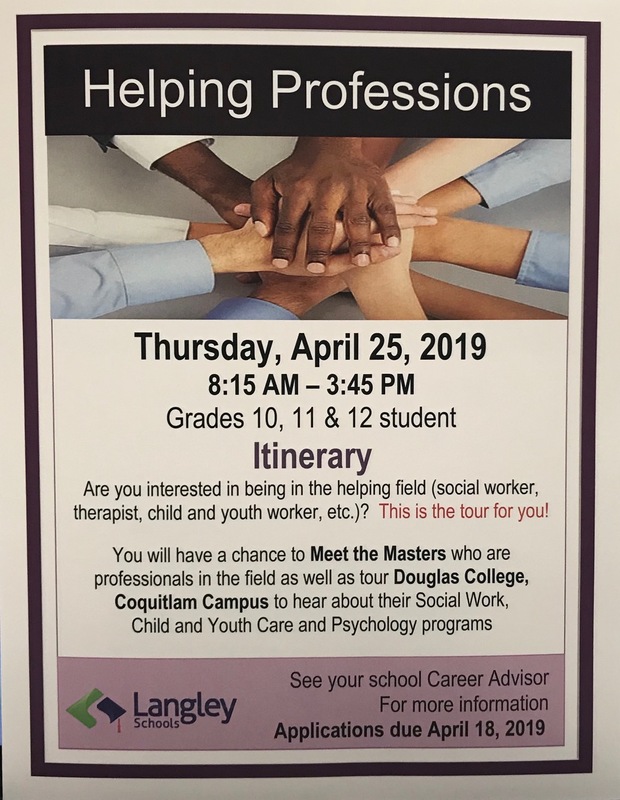 Updates are also posted to Twitter @LangleySchools and Facebook at www.facebook.com/langleyschooldistrict. If you don’t have internet connectivity but your phone is working, call a relative or friend in an area that has not been affected by the storm and ask them to check the district website for you. Local radio stations are also informed of school status in Langley. 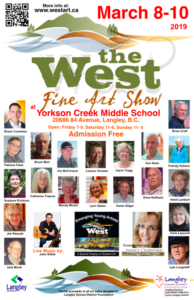 Tune in to CKWX 1130AM, CKNW 980AM, Country Radio 107.1FM, Pulse 107.7 or CBC 690AM or 88.1FM for updates. Please note that Langley District schools are all considered ‘open’ until a decision to close is required. Decisions on school closures are usually made by 6:30am. As always, it is a parent’s decision whether to send their child to school based on safety and individual circumstances. If you feel it is unsafe for you or your child to travel to or attend an open school for any reason, please keep your child home and report an absence to the school. 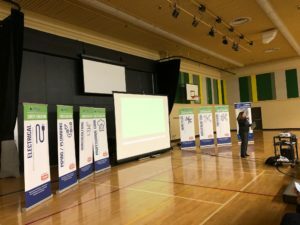 Secondary School is an important time in a teen’s life, and for teen’s struggling with mental health and/or substance use challenges, it can be a tough time. This In the Know webinar brings together a principal and a parent to discuss what they have done as adults to support things going well for teens in secondary school. 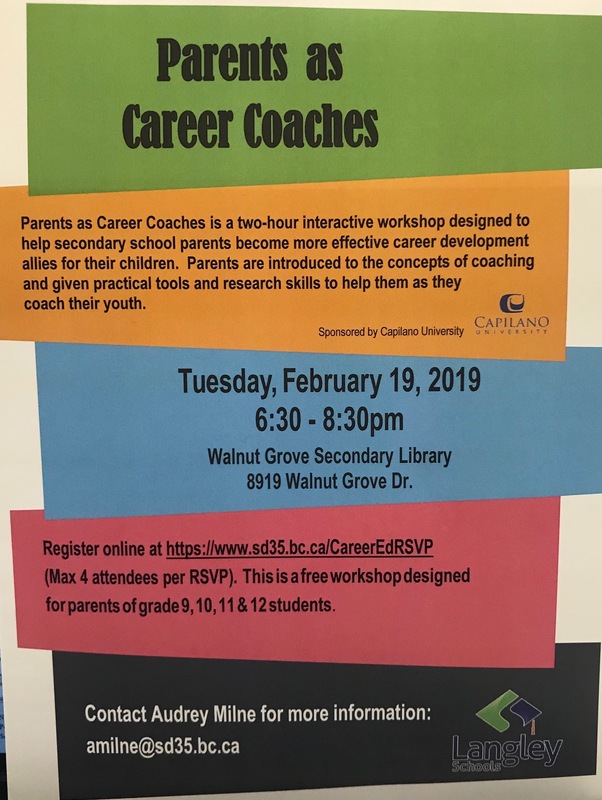 Please feel free to share this email and poster with any parent/caregiver whom you think might benefit from attending this session. All parents and caregivers are welcome and refreshments will be served. 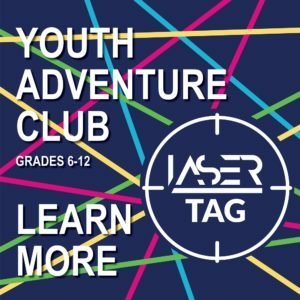 Please note: this group is not suited for children or youth, and childcare is not available. This group will be for parents and caregivers of adolescents (13 and up). All adult family members are welcome as long as they are in a supporting/caregiving role with the teen. The more family members on board and interacting through an attachment lens the better for everyone! 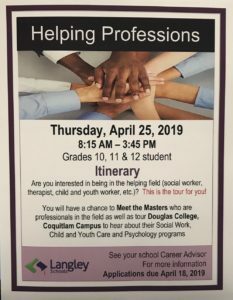 IMPORTANT DETAILS: The week after the info session parents who want to participate in the group will have a pre-inclusion interview with myself or Angie to ensure they are a good fit and the group is a fit for them. 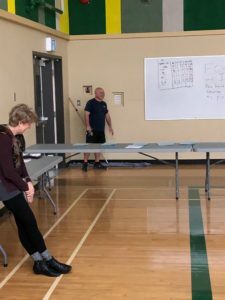 A commitment of attending all 9 sessions is critical to learn the principles as one is taught each week and they scaffold on top of each other. The group will be held Monday evenings 6-7:30 pm for 9 weeks starting on April 1st. and ending on June 17th. Please ensure counsellors impart this detail to prospective parents it is critical for the integrity of the group and for the content to actually work!